Happy almost October! I am ready for some fall weather, Halloween, and pumpkin spice whatever. And especially for new books! This month is not quite as massive as September for book releases, so I plan to catch up on a few September books I didn’t get around to. Copy Girl by Anna Mitchael and Michelle Sassa – Berkley. This debut is described as Mad Men meets The Devil Wears Prada. Count me in! Pretending to Dance by Diane Chamberlain – St. Martin’s Press. During the adoption process, secrets about Mary’s own past and family start to haunt her. This one is getting great early buzz. A Step Toward Falling by Cammie McGovern – HarperTeen. A girl with developmental disabilities is attacked, and the classmate who witnessed it did nothing. Now the classmate has a chance to make it up to her when she volunteers at a center for disabled people. Carry On by Rainbow Rowell – St. Martin’s Griffin. Simon & Baz from Fangirl get to star in their own story. The Rose Society by Marie Lu – G.P. Putnam’s Sons. The sequel to The Young Elites – I’ve been waiting for this one to come out so I can read the two back-to-back. Romancing the Dark in the City of Light by Ann Jacobus – Thomas Dunne Books. An American girl has to repeat her senior year in Paris in order to earn her inheritance. But boys and her own personal demons are stumbling blocks for her. First & Then by Emma Mills – Henry Holt and Co. Described as Pride and Prejudice meets Friday Night Lights. I always get sucked in with the FNL comparisons! The pretty cover doesn’t hurt either. Truly, Madly, Famously by Rebecca Serle – Poppy. This is the sequel to the very cute love-on-a-movie-set drama Famous in Love! Illuminae by Amie Kaufman and Jay Kristoff – Knoph. There’s a lot of hype about this one- the first in a new sci-fi trilogy. Color me intrigued! The Lake House by Kate Morton – Macmillan. This historical fiction mystery sounds very intriguing. What We Left Behind by Robin Talley – Harlequin Teen. Talley’s sophomore novel tackles sexuality and gender identity. Underneath Everything by Marcy Beller Paul – Balzer + Bray. This story about a toxic friendship sounds compelling. 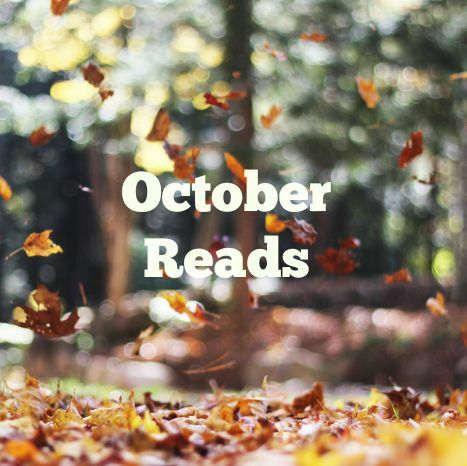 Are any of these on your October TBR? What are you looking forward to reading next month? Thanks for sharing your list Lucy. I am most curious about Diane Chamberlain’s new book. I think I only have one book on your list but I really want the new Rowell book. So many great books coming out! I think I’m most looking forward to: The Rose Society, Illuminae, and The Lake House. Kim recently posted: Happy National Coffee Day!